Starts Friday, 11/28 – Ends Tuesday, 12/2 at 11:59pm! 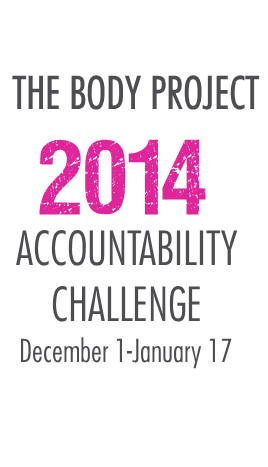 > Accountability meal plans and recipes…and you can still enjoy your holiday parties and fare! 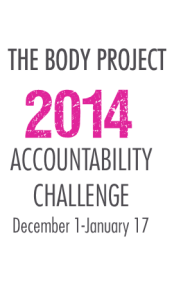 REGISTER BY TUESDAY, 12/2 AND GET $50 OFF PLUS QUALIFY TO EARN $50 toward any future BP program *if you meet your goal*! BODY PROJECT FLEXFIT SESSION PACKS! Love BP workouts and want the flexibility to drop-in when it’s best for your schedule? Drop-in to your favorite BP sessions with our signature FlexFit Session Packs! Purchase by Tuesday, 12/3 and get 20% free bonus sessions added to your session pack! *Call or email Dana at 609.336.0108 or dana@bodyprojectfitness.com no later than Tuesday, 12/2 to coordinate payment details. BOOK YOUR “DECEMBER DE-STRESS” MASSAGE IN THE MONTH OF DECEMBER & GET 20% OFF A MASSAGE IN JANUARY! Select our 60-minute “December De-Stress” massage or Signature 60-minute massage & bodywork session with our newest BP Team Member, Jennifer Goldberg – one of the most experienced, caring and talented massage therapists you’ll meet. De-stress from holiday planning, shopping, and being bundled up in the cold weather. A relaxing massage is healing and beneficial to the mind and body. While there is less emphasis on adhesions and knots in the muscle tissue, long gliding rhythmic movements lead the mind into a deep state of relaxation while easing tension from the body. and along the spine to promote a sense of mental relaxation and ease of muscle tension. the spirit. This blend of oil promotes relaxation and a deep sense of peace. Click the appropriate link below to purchase your massage session and a BP Team Member will be in touch with you to schedule your session. *Current members can purchase a massage as a gift for a guest/non-member at the member rate at the time of purchasing a massage for herself. *Family and friends may purchase a gift for a current member at the member rate, please tell us the member’s name when purchasing. *GIFT CERTIFICATES AVAILABLE & MAKE THE PERFECT GIFT! Call us at 609-336-0108 or email Dana@bodyprojectfitness.com for any questions or details!